Produktinformationen "Delchev-Semkov, Understanding the Queen's Gambit Accepted"
This book presents a Black repertoire based on the QGA. The authors consider the Classical System with 3.Nf3 Nf6 4.e3 e6, but they also offer alternative approaches building up tension with 4...Bg4, and the destructive 4...a6 aimed at quick equalisation. They pay special attention on the ideas behind the moves, leaving the detailed coverage for the "Step by Step" sections. You'll also find advice against Queen's pawn openings where White refrains from 2.c4. 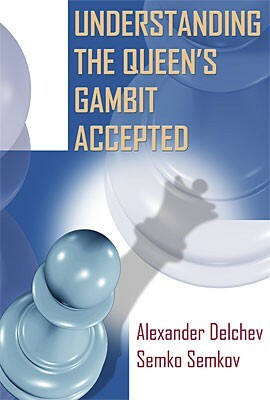 Weiterführende Links zu "Delchev-Semkov, Understanding the Queen's Gambit Accepted"
Kundenbewertungen für "Delchev-Semkov, Understanding the Queen's Gambit Accepted"